Individual tracks are not available.This product is not available at this time. 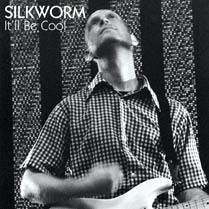 09/23/15 - Silkworm's 'It'll Be Cool' Makes Its Vinyl Debut on 11/13/2015 (Black or White Vinyl)! 02/18/13 - Couldn't You Wait? The Story of Silkworm Out February 18th! Silkworm's 'It'll Be Cool' Makes Its Vinyl Debut! It'll Be Cool - the ninth album from Silkworm - was originally released in 2004 on CD. Now, 11 years later, on November 13, 2015, Touch and Go will release It'll Be Cool on vinyl for the first time! Be sure to order before October 21st as we are not printing any extras!